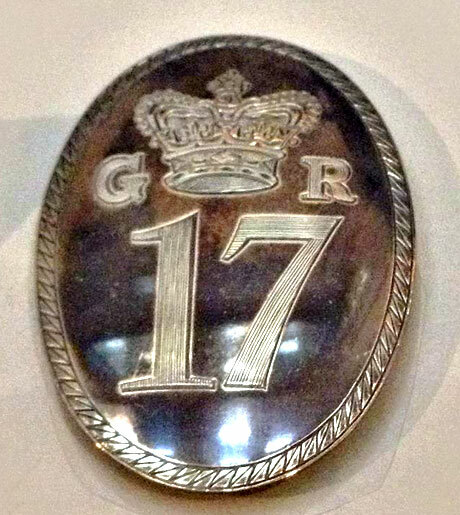 This Officers Belt Plate is held in the Regimental Museum, The Newarke, Leicester and is dated 1780. 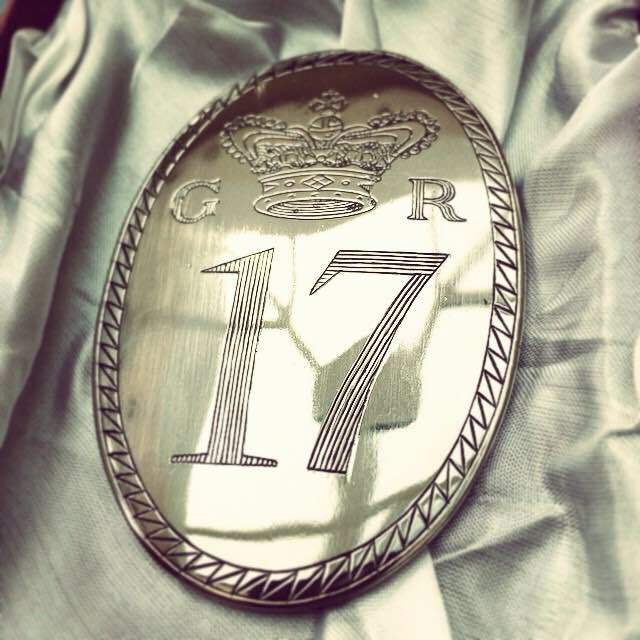 It is made from silver and is engraved with the numerals of the 17th Regiment. We think - we'll confirm once we've spoken to the curator at the Newarke - that this belt plate was excavated from New York in the 1840's. 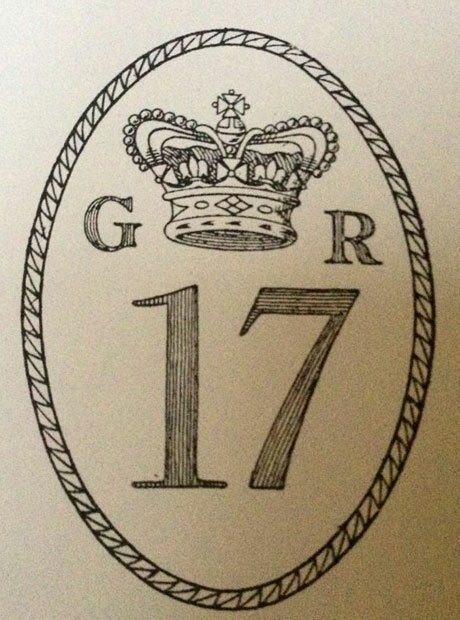 Interestingly, an early 20th Century regimental historian provided an engraving of a belt plate (Dated 1776). History of the Services of the 17th (the Leicestershire) Regiment, Lt. Col. E.A.H. Webb, 1912: Plate 10. Here is a reproduction cast in German Silver and engraved by McClean Historical Engravers. The plate was kindly donated by Will Tatum, a historian and 17th Regiment enthusiast from the United States. The engraving was commissioned by our Lieutenant, James Martin, to finish the piece.